When should you first bring your kids to the dentist? One of the questions I get asked very often; is when is the best time to bring your child to the dentist for the first time? Ideally your child should come to the dentist when they get their first teeth or by their first birthday. It can be a very daunting place especially when you’re little. There is lots of strange equipment there, a big chair with a light for one. It’s full of strange people. The strange people wear rubber gloves! You’re asked to open your mouth for one of the strangers. So one of the main reasons for bringing your child at such a young age, is to make them accustomed to all these strange things little by little. Another is that it allows the dentist to impart some excellent advice on safe (to teeth) snacks and drinks, and how to care for your child’s teeth. Don’t worry there is nothing scary going to happen to your baby. These early visits are all about building your child’s confidence with dental appointments. If they sit on the dental chair – brilliant. If not – it is no big deal. They are never forced into doing something they are not ready for. The dentist will make a wee fuss of them, meet them at their level – even if that means sitting on their hunkers. Then give them some nice stickers. What if you’ve missed that timing? Firstly don’t worry if your child is over 1 year old and you have not brought them to the dentist. Instead get an appointment booked soon. The worst time is when a child has a dental problem that needs some intervention, and they have never been before. They are in pain and may have missed out on some sleep. Mum and/or dad are distressed because child is in pain. And the child is meeting all the strange things, smells and people for the first time and is expected to go straight to being cooperative, sitting on dental chair, opening their mouth and maybe having some treatment. This can be a very stressful time for everyone involved. Dental disease is totally preventable if the advice is given early enough and safe snacks and drinks are what your child is given. All three dentists in our practice are happy to treat children and give some positive advice and care. How Do I Know If My Breath Smells? Do your friends or family turn away when you speak up closely? Have they always got an itchy nose when you are talking? If any of these are true you may actually have bad breath. Firstly lick the back of your hand, wait a minute for it to dry and then take a sniff. This is what your breath smells like. Did it make you wince? If so you may want to do something about it. What makes your breath smell? How can you prevent bad breath? Firstly you need to ensure there is no waste food trapped in your teeth, by brushing your teeth effectively, flossing or using interdental brushes to remove food/plaque trapped between teeth and brushing your tongue. Yes - I meant to say brush your tongue. Our tongues have many little indentations on the top (dorsal) surface that gather food, chemicals and bacteria. If these are not cleaned away they can decay and emit an unpleasant odour. Use a tongue scraper or your toothbrush with a side-to-side or circular motion to remove any surface build up from your tongue. If you go front-to-back it can make you gag, which is never pleasant. Visit your dentist to ensure no tooth decay, gum disease or infection. See your hygienist regularly to remove any hard build up on teeth and ensure your dental care routine is keeping on top of your maintenance. If you have regular indigestion with heartburn and a sour tasting reflux, mention to your doctor as you may have GERD and need some medication to alleviate the symptoms. GERD as well as causing bad breath, can damage teeth with erosion, quite rapidly. Dentistry is constantly moving forwards as technology improves. As a dentist you are required, by the General Dental Council, to do a certain number of hours of continuing professional development (CPD) to keep up to date. 75 hours in every 5 yearly cycle. My cycle just ended and I had almost 900 hours! So to say that I am interested in continually developing within my profession may be a little bit of an understatement! Most recently I got involved with something called Smile Design. Subconsciously when we all look at a persons smile, we either find it attractive or not so much. Whether you want to or not, you automatically judge someone’s attractiveness or even how trustworthy they are, based on their smile. It is that important! I am going to be honest, as a dentist I always check your teeth at first glance – I can’t help it, it’s what I do, and I love it. 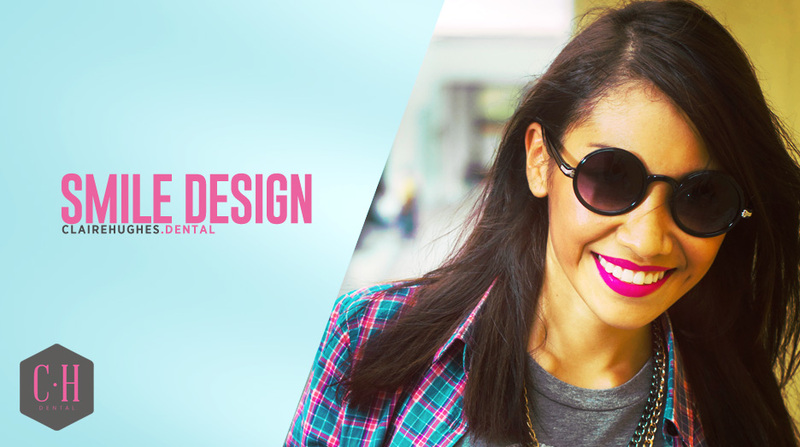 So getting back to smile design – Smile Design is the art of creating the perfect shape, size, angulation and colour of teeth, to fit in with the shape of your face and lips. It also takes into account the way your muscles move your lips when you smile. We do this in order to create the most aesthetically pleasing smile possible. We start by taking some photographs and communicate these to our chosen dental laboratory. The cosmetic dental technician then works through digitally with teeth of different sizes and shapes and spends time tweaking angulation until we are both happy with the appearance. Our software then enables us to show you a photograph of how you would look like with a bespoke designer smile. If when looking at these photographs there is something you would like to change, we can make those changes digitally until you are pleased with what you see. In order to achieve this designer smile in your mouth, we can then talk about what is involved clinically (at the dental practice) and if you require braces or aligners to move some teeth or implants to replace any missing ones. This design process enables you to see the result before any treatment commences. Together with the dental technician I have attended many local and international conferences and courses to learn these new skills. We are both full members of the British Academy of Cosmetic Dentistry (BACD) and I am a member of the Irish Academy of Aesthetic Dentistry (IAAD). As a dentist I see many parents wanting the best for their children’s teeth. One of the issues faced by many parents is knowing what snacks are appropriate to give their children to maintain optimum oral health. Throughout this blog I will be looking at healthy vs harmful snacks. This part looks at the science behind the tooth decay. If science isn’t something you are interested in then you may want to skip to the next paragraph. In order to understand how to avoid tooth decay we need to look at how it is caused. When a fermentable carbohydrate is consumed it is metabolized by the bacteria found in plaque and this in turn produces acid as a by-product. This acid causes a reduction in the pH in the mouth and a process of demineralization (breakdown of tooth structure) can occur. So what relevance has this to snacking? The more snacks consumed, the higher the frequency of acidic attacks on teeth leading to a greater probability of dental decay. Also the more sugar a snack contains the more acid is produced. Many snacks which are perceived as healthy can in fact be harmful to children’s teeth. This is because many of them contain hidden sugars. Fruit juices’ may be perceived as healthy to many but in fact can contain just as much sugar as a fizzy drink. E.g. In a 350 ml serving of Coca-cola it contains 10 teaspoons of sugar compared to apple juice at 9.8 teaspoons. The best healthy alternatives for children to drink are water and milk. We may think that giving a plain biscuit compared to a chocolate one is a healthy alternative but plain biscuits still contain lots of sugar. Many plain biscuits also contain hydrogenated fats. These can cause an increased risk of cardiovascular disease, high cholesterol or even strokes later in life. Many snacks that claim themselves to be ‘fat free’ actually contain sweeteners to enhance their flavor e.g. fat free yogurts. Other examples of foods containing high sugar levels include breakfast cereals and dried fruit. Healthy alternatives I would recommend include toast with butter, rice cakes, plain natural yogurt with fresh fruit and cheese. With regards to breakfast time I would recommend Weetabix, porridge or shredded wheat. So when is the right time to give your children a snack? Children tend to be hungry after school. A healthy snack is advised after school and this should be implemented as soon as your child starts going to school so that this habit continues through to later life. I advise that one day is chosen in the week as a treat day. On this day a treat can be consumed and I advise that the treat is consumed all at once to reduce the frequency of the acidic attacks on teeth. When choosing what treat to give your child I advise a chocolate bar rather than a packet of sweets. There are two reasons for this. Firstly a chocolate bar is more likely to be consumed all at once compared to individual sweets and therefore this will reduce the frequency of acidic attacks on your child’s teeth. Secondly a chocolate bar can be more readily washed away from the tooth surface compared to sweets which can stick to the tooth surface and cause further damage. In 2013 over 5300 young people in NI were admitted to hospital for tooth extractions. This is the single biggest reason for children receiving general anaesthetic. In those 5300 cases dentists extracted 24, 154 teeth; 22, 056 were rotten baby teeth. With healthier snacks and regular check-ups we can work together towards changing this fact. One of the most common problems in dentistry is toothwear. Toothwear is the loss of tooth surface by means other than tooth decay. There are 3 main types: erosion, abrasion and attrition. Toothwear may be the result of one of these or a combination of two or more. Erosion is due to acid - acid erosion. Toothwear happens firstly in the hard outer enamel layer and then progresses to the inner dentine layer. Acid erosion is from acids in diet or from stomach acid. The stomach acid may be spilled into the mouth in acid reflux indigestion (GERD – gastro oesophaeal reflux disease) or from prolonged or frequent vomiting. Acids are found in fizzy drinks, citrus fruits, fruit teas and many alcoholic drinks. Abrasion is where teeth are worn away, by other devices, that are not the opposing teeth. Some examples are brushing with a particulate toothpaste (smokers toothpaste or one with beads), biting nails or pens, picking with toothpicks or pieces of plastic, using too hard a toothbrush or an incorrect brushing technique. Attrition is toothwear caused by teeth grinding together. The teeth have edges that fit against the opposite ones like a jigsaw. The teeth end up shorter and flattened and may chip at the edges. Attrition is accelerated by having a fewer number of teeth, with the load being greater on the remaining individual teeth. A clenching or grinding habit can make the rate of toothwear even faster. How to prevent tooth erosion? Avoid fizzy drinks, but if you must make sure they are as cold as possible and preferably drink through a straw. This means the acidic liquid bypasses most of the teeth. Drink straight down without swirling around your mouth. Seek help from your general medical practitioner (GP doctor) if you fell you have frequent episodes of acid reflux indigestion (heartburn) or frequent unexplained vomiting. Wait at least half an hour after eating or drinking acidic foods before brushing your teeth. How to avoid abrasion toothwear? Use an electric toothbrush with a pressure sensor. Avoid biting nails, pins or pens. If you have lost teeth they are better replaced to avoid overloading and wearing the remaining teeth. Teeth can be replaced with dentures, bridges or implants. If you grind or clench your teeth if may be beneficial to wear a biteguard, for night-time or daytime use, to prevent further damage to your teeth. Your dentist can make one of these for you. As for everything else prevention is better than the cure, so if you’ve noticed some changes in the shape of your teeth, have a chat with your dentist or one of ours for some great advice and interceptive treatment. If there has been extensive tooth surface loss I may be able to help restore your teeth to form function and aesthetics. Children develop their adult incisors (front teeth) at a young age – 6 years old. Their bodies are still growing so their teeth may appear very big, they may stick out if the child is too young for to have braces yet. During the development stage in particular, the teeth are very vulnerable, especially if the top teeth stick out over the bottom teeth. There are many times that a child can have an accident that results in a dental trauma. Dental traumas most commonly occur while playing on skates, bicycles and trampolines; while taking part in contact sports like rugby, Gaelic football, football, hockey; or martial arts. There is a range of dental traumas from small chips off teeth, teeth being moved, large chunks fractured off or teeth totally knocked out. Firstly: Has the child been hurt otherwise? Have they lost consciousness? - Important as teeth are, if the child has other injuries or has lost consciousness, they are best to have medical care first of all. Has the tooth been broken? If so can you find the broken piece? – This is important to ensure it has not been swallowed or embedded into their tongue or lip. Has the tooth been knocked out totally? If the tooth is dirty rinse it under running water or with saliva. Place it into position if possible and bite on a handkerchief or tissue to keep in position and attend a dentist for fixation. If not possible to reimplant, place it in mouth of patient between cheek and teeth and make sure not to swallow; or in a container of milk and go to the dentist as quickly as possible. How to prevent dental trauma? The best way to protect teeth while playing sports is to wear a sports mouthguard. The best ones are custom made, have equal thickness or material over teeth and are specific to sport played. E.g. boxing needs to be thicker than football. They fit comfortably; don’t fall out when mouth open and you can bite together evenly. If the teeth don’t meet evenly and the child receives a blow to the chin – their jaw is more likely to be broken. Gum shields are available in sports shops that get molded after softening in boiling water. Unfortunately as they end up an uneven thickness and the teeth don’t meet together evenly, they don’t offer the same level of protection as a custom made one. Prevention of a dental injury is much better than the cure. I have wanted to be a dentist for as long as I can remember. As a child I absolutely loved going to see the dentist, firstly because my dentist was so lovely, but also because my mum worked there as a dental nurse. As I became older I developed an interest in science, particularly in biology, and how the human body works. When it was time to choose what work experience to take part in, I had to go to a dental surgery. This experience allowed me to see the positive impact that a healthy smile can make on a patient, and how rewarding this can be for the dentist. Now it makes me really happy when I see a nervous patient become confident, after coming into the surgery and becoming proud of their smile. It's especially rewarding when they tell me how much of a difference their treatment has made to their lives. I also wanted a job that challenged me and allowed me to continue to learn and develop my skills, and dentistry certainly allows me to do that. For me, every day is different, I am always learning something new and meeting new people. Dentistry is always changing and advancing, and I really enjoy keeping my knowledge up to date by attending courses and meeting up with peers. Dental Hygienist: who are they and why should we see one? A dental hygienist is a dental professional specifically trained to care for the periodontal tissues and framework. Periodontal tissues are the support mechanism for your teeth made up of gums, attachment fibres to teeth and supporting bone. A dental hygienist also routinely provides oral health instruction and advice; they may diagnose and treatment plan for the care of periodontal disease (gum disease). A dental hygienist can provide preventative treatments like the application of fluoride varnish to prevent, or reverse early, tooth decay, and provide fissure sealants to young people's teeth to keep them free from damage. The less well-known reasons are that swollen, red and bleeding gums are signs of inflammation. Inflammation is associated with many inflammatory mediators like cytokines, the same inflammatory mediators have been found to be associated with coronary heart disease and most recently there has been a scientific study that found a correlation between these same inflammatory mediators and Alzheimer’s disease. This means that there is an association between poor gum health and poor health in the rest of the body. Dental hygienists are highly skilled and trained to be compassionate and treat you gently. They give fantastic advice on how to control plaque. Plaque is the white sticky substance that builds up on your teeth and is laden with millions of harmful bacteria. As well as treating your gums a hygienist demonstrates the very best way, and the most helpful tools, to help keep the plaque at bay. In doing this they improve the health of your gums and help maintain your periodontal structure. This improvement in periodontal health helps to decrease the detrimental effect on the health of your body.